Plainview Water District knows that educating our future generations about water and water conservation is important. 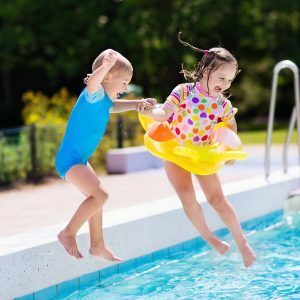 We regularly work with local school districts, Girl Scout and Boy Scout Troops and youth clubs to educate about the source of our water supply and how to conserve and protect it. Click here to view our Education and Community Involvement Gallery. What Can You Do To Get Kids Involved? 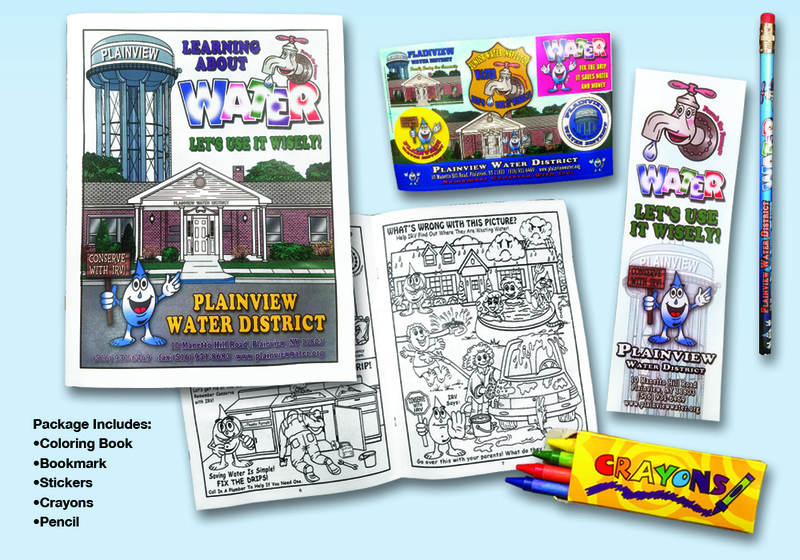 Request the full Kids Kit from the District Office or download a PDF of the coloring book here. Recommended for grades 8 and under, these workbooks follow the adventures of Captain Hydro as he fights for water conservation. The workbook contains worksheets, puzzles and a glossary. Workbooks provided by East Bay Municipal Utility District in Oakland, California. The Water Sourcebooks contains activities for grades K through 12, divided by age and topic. The Water Sourcebooks are provided by the Environmental Protection Agency (EPA).